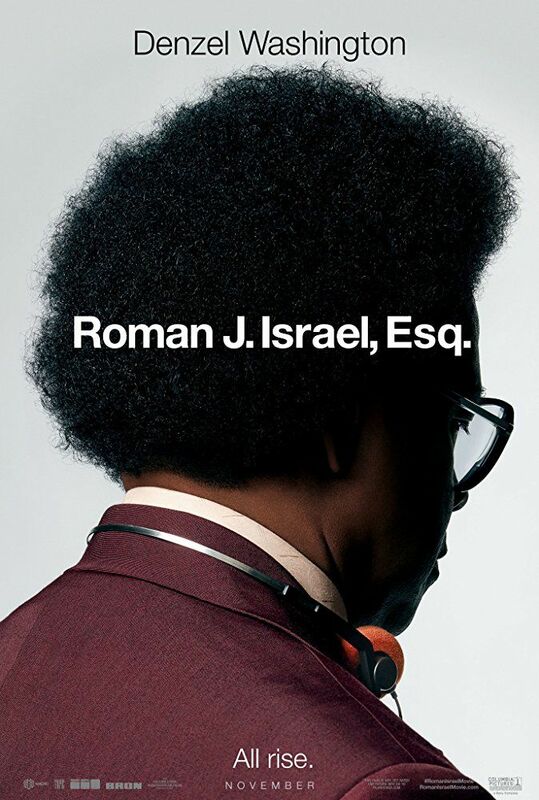 Lawyer Roman J. Israel has been fighting the good fight while others take the credit for a small law firm in Los Angeles. He's spent years on developing a brief that will change the justice system, giving up a family and normal life to fight for justice. Short on interpersonal skills, but endowed with legal genius, Roman is the behind-the-scenes brains and partner in a two-partner law firm with his former professor. When his partner, the firm’s front man, has a heart attack, Israel is suddenly forced to take on that role. He discovers secrets about the law firm that his partner hid from him. He also finds out that the firm is broke and is forced to look for a new job after learning some unsettling things about what the crusading law firm has done that run afoul of his values of helping the poor and dispossessed. While looking for a new job, he meets Maya during a job interview. The job interview doesn't go well, but Maya finds herself reaching to maintain her connection with Israel. Read more on Wikipedia.